Welcome to Little Paradise, Queenstown! 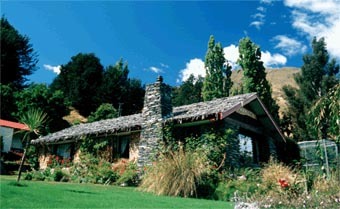 Located onLake Wakatipuand only 20 minutes drive from Queenstown New Zealand, and Glenorchy New Zealand, Little Paradise Guesthouse offers relaxing accommodation situated in a beautiful garden with thousands of different flowers and several water features. Little Paradise Lodge & Garden from Little Paradise on Vimeo. Little Paradise Guesthouse is as the name suggests - a quiet and restful place to relax or a base from which to take advantage of all the surrounding area has to offer. In addition to accommodation, Little Paradise Guesthouse offers easy access to the high adventureactivitiesQueenstown has become famous for, as well as easy access to New Zealand's famous Routeburn and Greenstone walking tracks. Wildlife, comfort, serenity, scenery and splendor aplenty! Come and let us care for you in this peaceful setting. Click Here to view the unique accommodation options - every room is unique! Wonderfully eclectic, this slice of arty paradise is the singular vision of the current owner. At the time of writing it was up for sale, so it could be your dream too. Each rustic room features wooden floors, quirky artwork and handmade furniture. Outside the fun continues with beautiful gardens that border on being overgrown, and well-crafted walkways along a nearby hillside. Breakfast and boat hire both go for 10 bucks, and across the road you can swim in chilly Lake Wakatipu from a tiny jetty. You're miles from the nearest shop so bring along all supplies to fix your own dinners in the expansive wooden kitchen. Outside there's a monument displaying the distance to various countries of the world; just to reinforce that, yep, you are in the deep south of New Zealand's South Island. Cool eh?